London exists because of the Thames. The city's history is inextricably bound to the river and its tributaries, to the canals around the north of the city and to the very different world to be found in the docklands to the east. 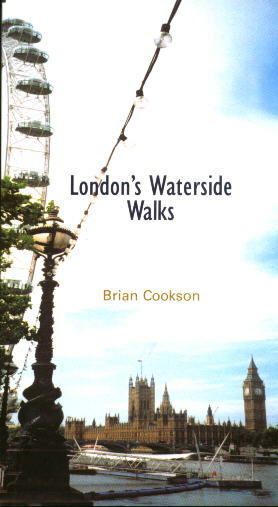 The book describes 16 walks selected to reflect the history and development of London's waterways from Roman times right up to the twenty-first century. The walks guide you through a diverse cityscape, from the picturesque village of Richmond and the modern architecture of Canary Wharf, to the ancient waterside inns where Charles Dickens found inspiration. Incorporating both experience amd local knowledge, the commentaries are a pleasure to read and clearly point out what to look for - both the popular tourist attractions and significant lesser known sights. The walks are designed to last about two hours, including stops and visits to places of interest with free entry. Each walk includes a summary of the highlights, a clear route map, detailed descriptions of approximately 15 stopping points and listings of places of interest worth a further visit. Dramatic photographs of some of the spectacles which adorn London's waterside enhance and enliven the text. London's Waterside Walks will appeal to any resident or visitor to London who is keen to enjoy exploring the city's history on foot.